To our multi-asset offer, among other 3000+ instruments, we have decided to add liquidity for Cryptocurrencies. We know that recently virtual currencies based on blockchain technology have gained many enthusiasts. Despite increasing popularity and publicity, it enjoys, not yet many people know how to trade with cryptocurrencies. A lot of investors are not feeling comfortable with the technology needed to store bitcoins and other altcoins. As various statistics show there is still some lack of trustworthiness in the technology used to store clients’ coins, no matter if those are virtual wallets or hard wallets. Clients are also afraid of the security of their fiat money, as many of the available exchanges are not regulated. Also, many exchanges do not accept fiat money. Clients have to buy Tether to transfer the funds to the exchange, so the process is time and cost consuming. Moreover, a lot of retail clients are not satisfied with the time it takes to execute a transfer of their virtual currency as well as receive a confirmation of such transfer. Of course, a lot is being done to achieve improvements. Solutions like SegWit2x or increasing the capacity of the individual blocks are being introduced, but the whole network is still growing and it will take some time to implement those changes. For the past several weeks the X Open Hub Trading and IT teams were looking for a solution to the challenges mentioned above. I strongly believe that we have covered all the clients’ needs and we are releasing a product that’s unique and possibly the best on the market. 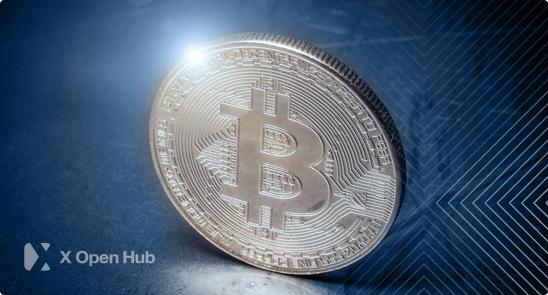 The X Open Hub offer also solves all the problems with the trustworthiness of the exchanges, as our capital group is regulated by FCA, KNF, Cysec and IFSC. Our licenses are passported to more than 10 EU countries and our group is listed on Warsaw Stock Exchange. Integration with our liquidity pool can be conducted within 24 hours. With our liquidity for cryptocurrencies, we also propose API, FIX, MT4 GW and other in-house developed connection methods. Also, our hedge accounts can be handled in multiple currencies. Implementing liquidity for cryptocurrencies shows that we are not afraid of the new. We want our customers to have access to novelties, and we want to guarantee them, that if they stay with us, they’ll find everything that will keep their business innovative and agile. That’s the reason why we have decided to introduce this new asset class to our liquidity offer. Of course, we perfectly know that as every trading product, this one is also developing and evolving very fast and new cryptocurrencies emerge on the market, so we constantly expand our offer, in fact, we have already scheduled adding new Cryptocurrencies to our portfolio. We are aiming to be the top Liquidity Provider for Cryptocurrencies in the world. Do you think that the wild price swings and volatility of digital currencies is keeping a lot of ‘Mom & Pop’ retail traders away still? None of currency market participants is completely resistible to price swings and low volatility. Especially if to comes to digital currencies. However, the biggest players have more sophisticated solutions to hedge their risk and are more willing to invest in new trends. It explains why the first news about cryptocurrency offering was heard from the most recognized brokers. On the other hand, our new institutional offer for cryptocurrency liquidity has aroused a lot of interest from smaller but dynamically developing companies. What else can we expect to see from X Open Hub in the coming months? We are constantly developing our offer. In next few months, we are planning to add new instruments to our wide liquidity pool. We are also permanently focused on our technology. Our new version of the platform is currently on developing stage and its beta version should be released at the end of September.